Pretty Things: This little guy is 4! 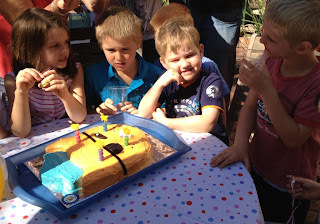 Octonauts Party! J has finally turned FOUR! Very exciting around here, lots of talk of being a big boy now.. and he really is, he can do pretty much everything for himself now. 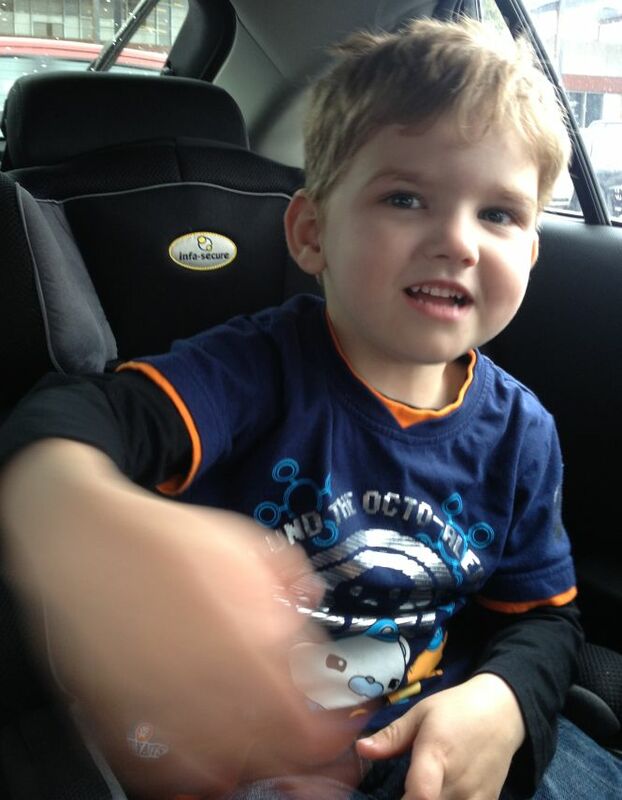 He also gets to move to a booster seat in the car which is pretty exciting. 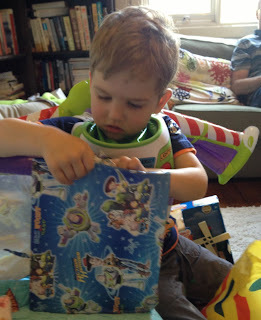 We had an Octonauts themed party for him this year. This involved a sea theme through the house - green and blue crepe streamers around the lounge room, green and blue helium balloons with curling ribbon dangling from each one. We almost had to remove the balloons as we lost about 4 at the very beginning and the birthday boy was VERY fearful of more popping! Bean bag throw: I made the bean bags with fabric square pouches and rice which counts this as a small sewing activity! Yay Mum! The kids stood about a metre away and threw the bags into hoola hoop rings on the ground. Egg and spoon races: This was tricky with 4 year olds but this set from ELC is just fantastic for use with little kids where they can put the egg back together and carry on. The kids loved it and the winners received little medals at the end. 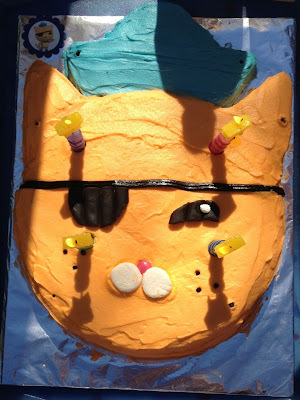 The cake was a Kwazaii cake and the inspiration came from AJAntics - AJ has an absolutely brilliant post on the Octonauts party she threw for her little boy. The cake decorations are licorice strap, licorice (Natural Confectionary brand which I was so excited to find!! ), marshmallow halves and a pink smartie for the nose. Decorating was the easy part, its actually cutting the shape and icing it all together that is hard! Here is our birthday boy getting ready to blow out the candles!! Happy 4th birthday beautiful boy!!! Glad I was able to help! Your cake looks great! 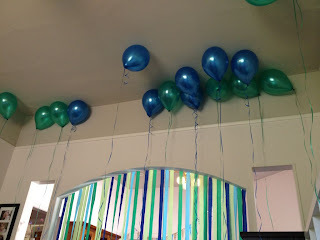 Aden about 6 weeks away from his 4th birthday party and the planning has started already! Thanks for your feedback AJ - I loved your cake so much! Can't wait to see another party post from you and its great to see how well you are all doing.